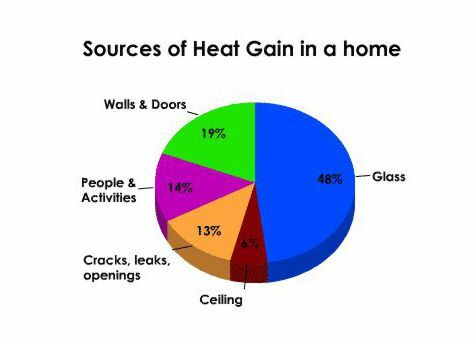 The results for each home or building will vary, studies indicate a home or building having all sun struck windows shaded, can produce a savings up to 50% or more on cooling costs. Since windows account for almost 50% of the cooling cost of your home (more than the roof, walls, and attic COMBINED), it only makes sense to treat these areas with the most proven, cost effective, efficient, window treatment on the market today. At today’s energy prices, the savings are substantial, and the screens quickly “pay for themselves”. Return on investment is spectacular!